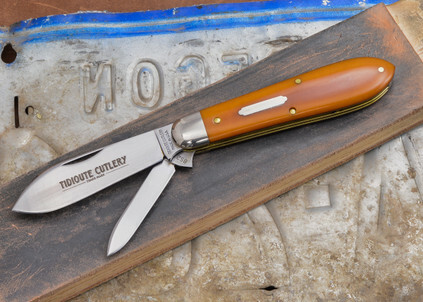 The Great Eastern Cutlery #85 "Bullet-End Jack" is a style known variously as a "swell-end jack" or a "teardrop." 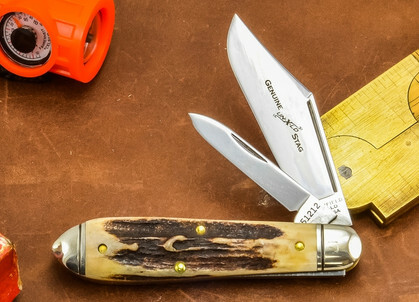 The #85 features either a large spear or clip blade, joined by a small pen blade. 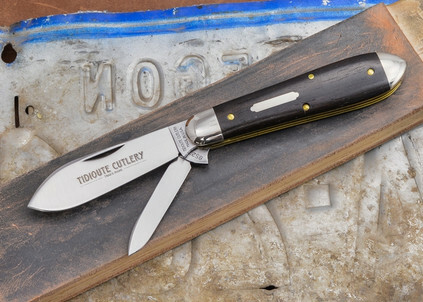 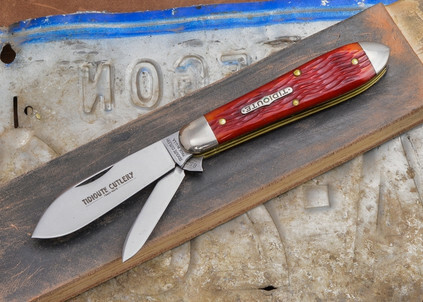 It's not just a nice-looking knife -- the 3.68" tapered frame also gives it a great feel in the hand.